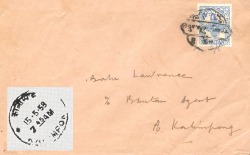 Robinson Listing of Known Covers from Postal History Journal, Issue 77, October 1987. 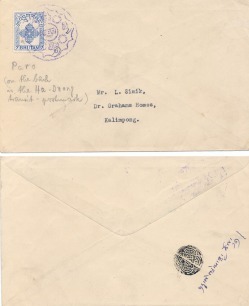 Covers found since 1987 are listed in the "Nadybal Numbered" page in the main Postal History menu page. 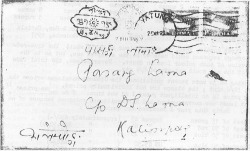 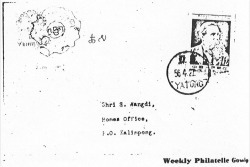 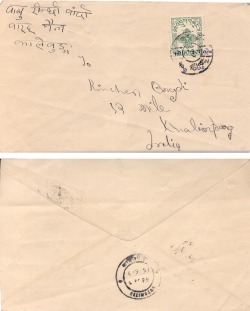 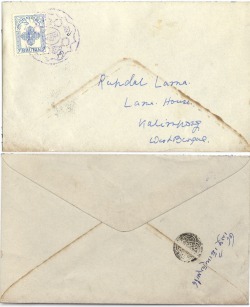 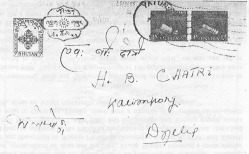 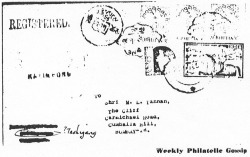 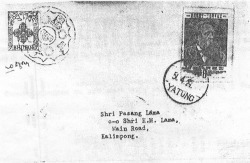 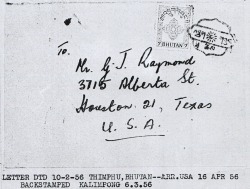 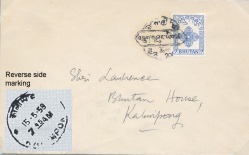 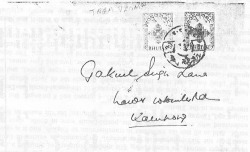 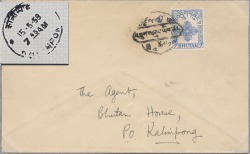 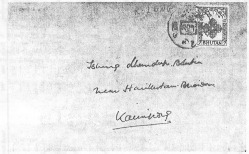 The return address in Hindi says "Head of monks, Thimphu [Bhutan]".